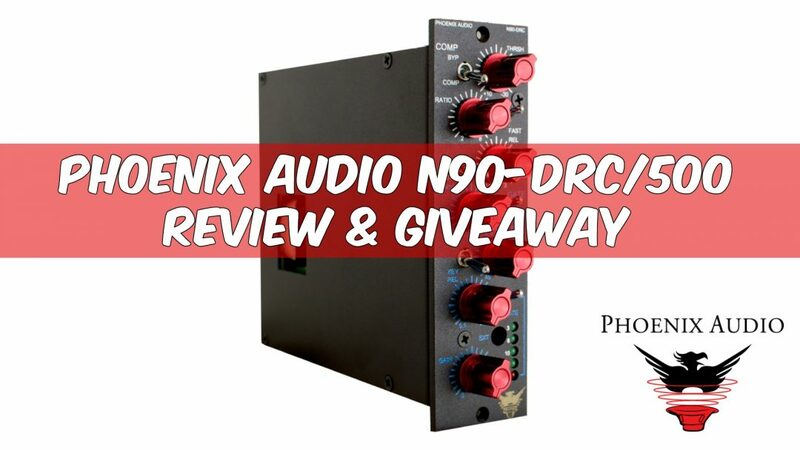 The Phoenix Audio N90-DRC 500 is a 500 series compressor and gate. It was developed by Phoenix’s lead designer David Rees over 20 years ago to resemble a more subtle style of compression from yesteryear. This compressor sounds fantastic! For the review we ran a drum loop, a pair of guitars, and a vocal through it and it sounded great on all 3 sources. One of the most interesting things was to engage the gate on the drum loop to create choppier sound! On the guitars I liked how it brought out the mid range in a pleasing way without sounding harsh. Lastly, I also found it useful on the vocal for bringing out the breathiness of the singer in an interesting way! Phoenix audio was kind enough to give us a pair of these to try and we are going to give one away to you! Please watch the review above and then enter the giveaway! Remember, the more actions you take the high you increase you chances of winning!